*The Healthy Bodies, Healthy Minds 2020 initiative is funded by a grant from the Slaight Family Foundation and generous Canadian donors. As the Healthy Bodies, Healthy Minds 2020 initiative expands across Canada, we are forming new and meaningful partnerships with Indigenous communities. The Healthy Bodies, Healthy Minds 2020 initiative is funded by a grant from the Slaight Family Foundation and generous Canadians like you. Community-led programs are being designed and implemented to improve access to healthy, nutritious food in places like Beardy’s and Okemasis’ Cree Nation in the heart of northwest Saskatchewan, and at Waywayseecappo First Nation in Manitoba. Land-based education and school garden projects complements traditional school nutrition and healthy eating programs, linking practical, pedagogical and cultural food practices together in powerful new ways. 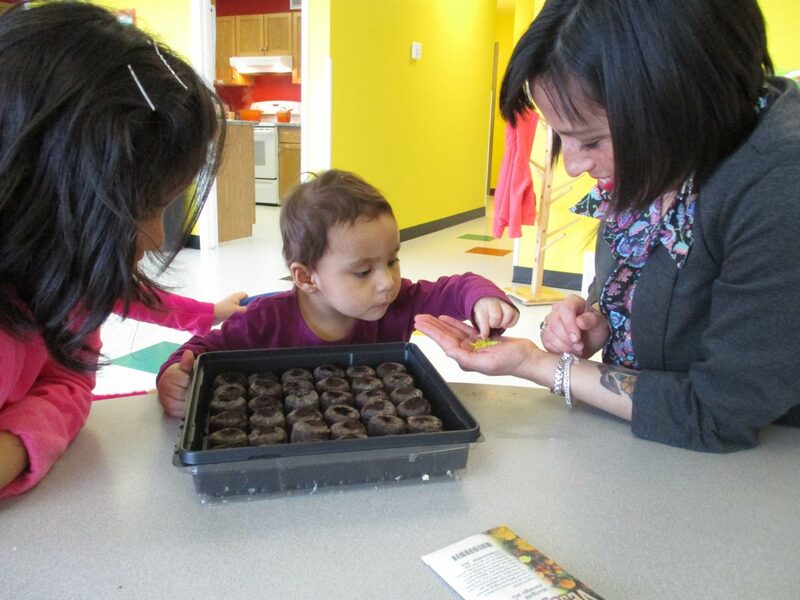 Children and families are building stronger connections to their culture and history by learning about traditional food and how to grow, preserve and cook it. 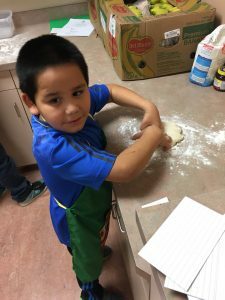 Children, parents and elders are coming together over cooking classes, in community kitchens, and fun community events like ice-fishing derbies. 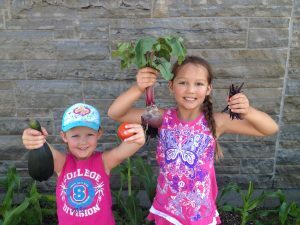 New gardens have sprouted up in community centres, schools and backyards, and fresh food and gardening knowledge is being shared, rekindling past traditions. Youth are taking leadership roles in their schools and communities, helping to bring these ideas to life. The key to success in these programs is community leadership: the solutions and activities are proposed and implemented by the children and adults intended to benefit from them. This is in large part delivered through a key component in each of our new partnerships: the hiring and funding of a community-based facilitator. A dedicated local person is essential to listen, coordinate, facilitate and act as a resource to unite the strengths and assets of the community to deliver their own, self-identified strategies for development. We have learned from successful partnerships with communities like Eel Ground First Nation in New Brunswick and Chippewas of Nawash Unceded First Nation in Ontario how essential committed local staff are to community-led work. Sarah, a mother of four, lives in Waywayseecappo First Nation. For Sarah, gardening and food preservation has always been part of family life. Sarah, a community-based coordinator in Waywayseecappo works with children, families, and the community to bring nutrition and land-based education to life. When the opportunity to join Canadian Feed The Children as a community-based staff member for Waywayseecappo First Nation arose, Sarah knew it would be a great way to share her knowledge and learn more about her community. Sarah told us she has taken on “a little bit of everything” in her new role. She is working with teachers, children, parents and elders to bring nutrition and food to the forefront of community conversations. She has organized cooking classes, conducted home visits to plan backyard gardens, taught children the life cycle of seeds, and planned and facilitated community events that get people talking and learning about traditional food. Cooking classes have helped bring children, parents and elders together over healthy food. People haven’t been shy about providing feedback. The “Wayway” program has received a lot of interest in the community and Sarah is never short of a pair of hands to help. Community members are volunteering their skills and time and have been key in making the first year of the program a success. And it’s true, they are showing up. The community events Sarah has organized have drawn huge attendance numbers. She never has enough chairs. Waywayseecappo First Nation has big plans for their future. They hope to see a lot more gardens, healthier schools and childcare centres, and one day maybe even a poultry initiative and a seedbank to share seeds. For Sarah, the true mark of success is all about seeing her community members’ smiling faces.